Happy days are here again. 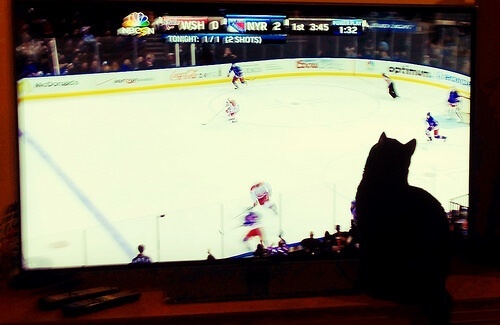 The hockey playoffs are on in full force. The teams get to antagonize and bully each other into the summer time. All in their quest of acquiring the Holy Grail -- the Stanley Cup. And when the hockey playoffs come it leads to the big payoff. For some Canadians that big payoff could be an answer to their debt problems. 18% of adults in the survey have stated they will try their luck and place a bet. I`ve seen the notorious game player; hoping for a streak of luck they play multiple tickets hoping it betters their odds. Chances are the number of factors will not always work in a person`s favour so they plan for multiple scenarios hoping to achieve some modicum of success. Spending more money with the hope of winning the big jackpot. This could be for the purpose of making up for a horrible gambling season or to chase their losses. Or simply because they are caught up in the rush of all the action. By not managing their gambling losses it adds up to more debt. Somehow in everyone's heart of hearts, some players feel with all odds out there that their team is magically due. This means following this logic that the person will be missing out on a ridiculous amount of money if they miss out or don't play. In some cases, people are using money that should be used for fixed expenses like utilities, paying off debts faster, or car payments to place bets on their lucky team. Win or lose, they bet more, thinking this will give them better odds. If you as a participant find that you are making bets out of emotion, such as stress because you feel caught up in the excitement you should seek the assistance of Centre for Addiction and Mental Health (CAMH) or the Responsible Gambling Council. If you are planning to gamble or place your next bet, to paraphrase the Ontario Lottery and Gaming Corporation (OLG), 'Know your limits and play within them.' Remember it’s safer to leave the action to the experts on the ice and enjoy the game at a distance. It can save you a lot of pain. And a lot of money.